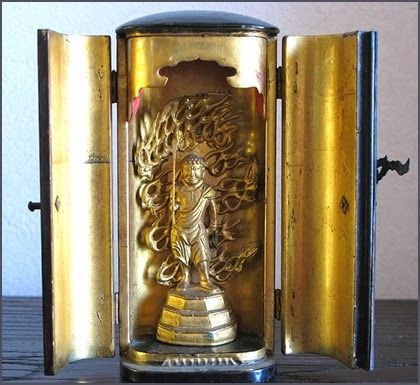 1　A miniature shrine in which Buddhist images or rolls of sutras kyou 経, are kept. 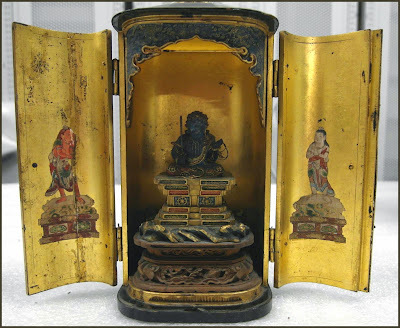 Reliquary miniature shrines vary in shape and size. 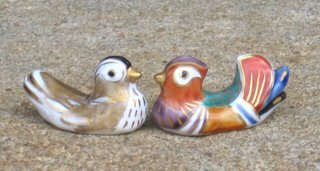 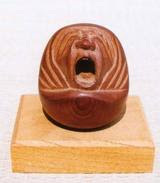 Some are free-standing square, rectangular, cylindrical or oval shaped. 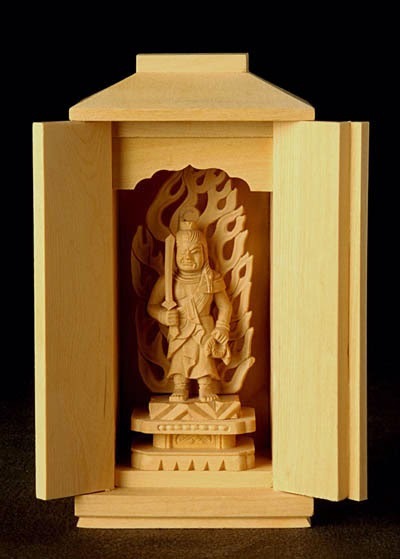 Others are shaped like a temple building and still others are three-sided and attached to the inside wall of the building in which it is kept. 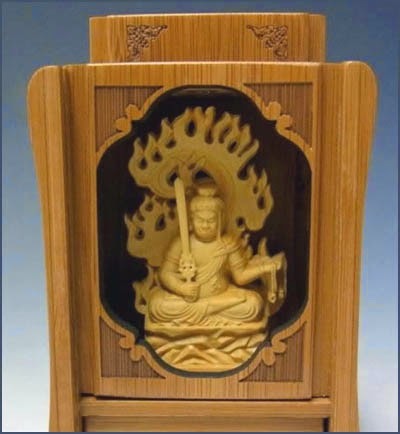 They have double-hinged doors each with a two-fold leaf or double doors. 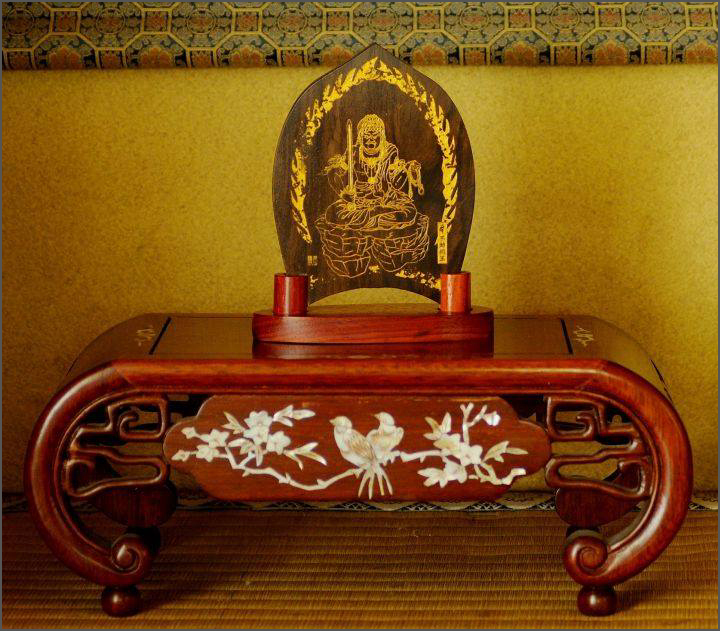 If the shape of the reliquary for enshrining Buddhist relics *sharitou 舎利塔, suggests a pagoda *tou 塔 or *houtou 宝塔, the body is usually circular and the roof is pyramidal *hougyou yane 宝形屋根. 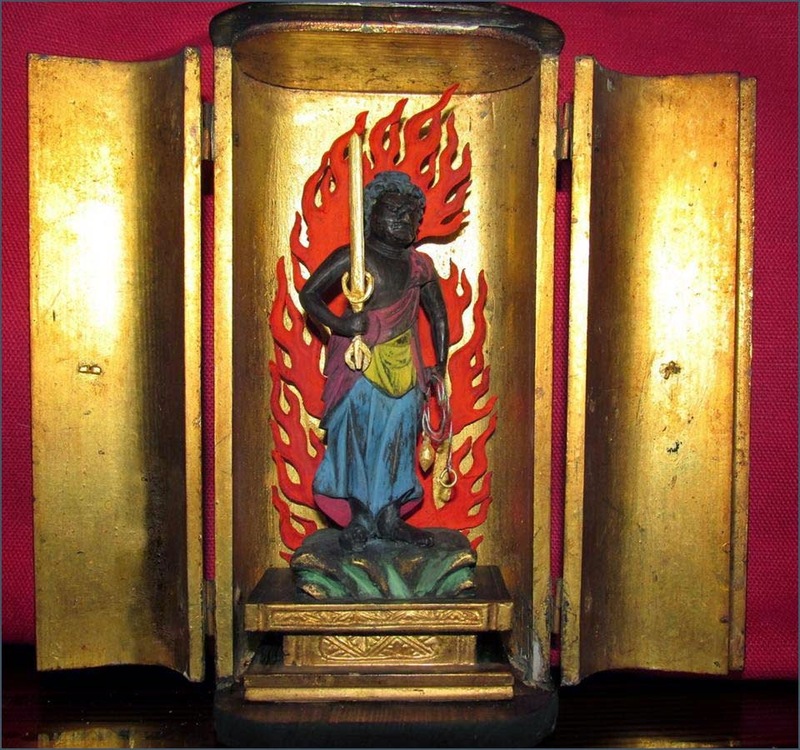 Most miniature shrines are constructed of wood, but some are made of iron or gilt bronze. 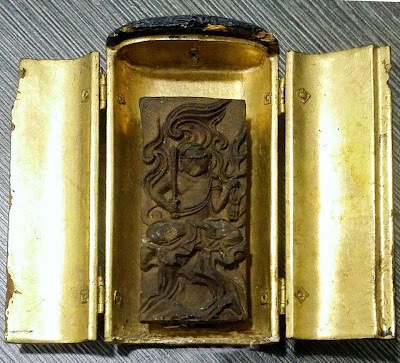 Miniature shrines were made in the 7-8c, but became more widespread after the esoteric Buddhist sects, Tendai 天台 and Shingon 真言, were introduced from China in the 9c. 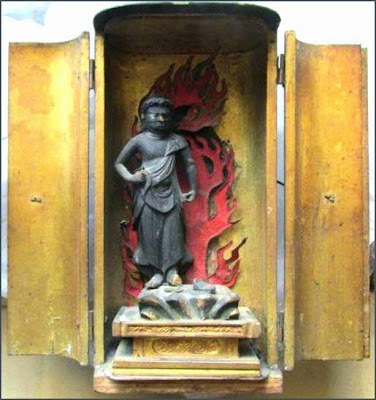 Temple construction sponsored by these sects steadily increased after that time. 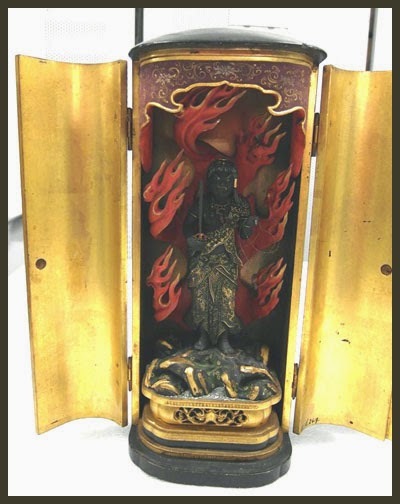 The zushi made in miniature temple forms often provide important information about the architectural style of the period. Example: *Tamamushi no zushi, 玉虫厨子 owned by Houryuuji 法隆寺 (mid-7c), in Nara. 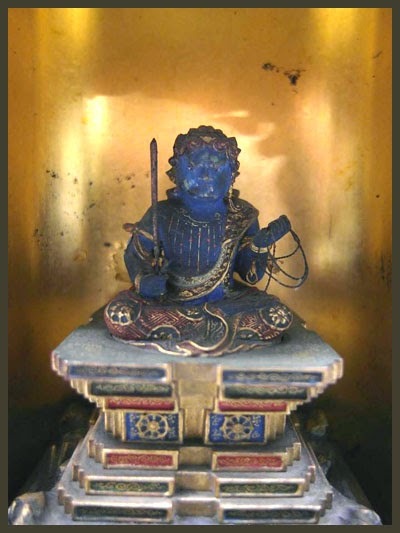 2　Zushi can also refer to the small Buddhist altars found in homes. They contain images, relics, portraits of deceased family members and their posthumous names written on vertical strips of lacquered wood rendered in gold. 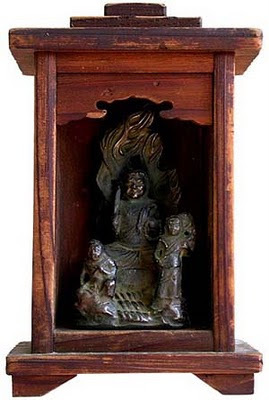 3　Zushi or *zushidana 厨子棚, originally meant an enclosed shelved cabinet for storing clothing, household objects and personal belongings.
. butsudan 仏壇 Buddhist family altar . 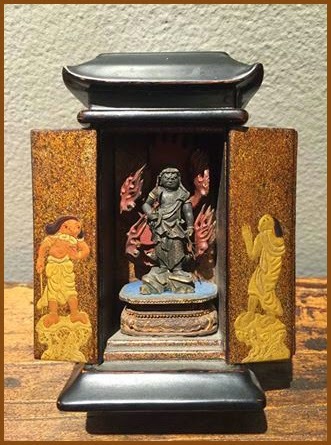 The figure inside the wooden Zushi Altar depicts a fierce looking Fudo Myo-o flanked by two deities that measures 3.25” tall. 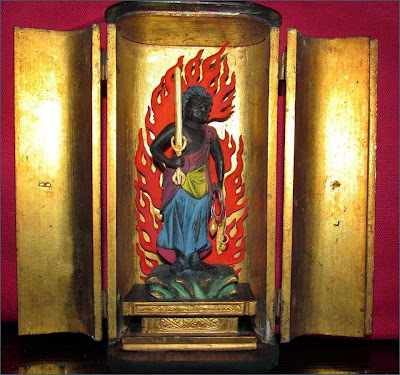 The writing on the back of the piece reads “Narita, Prayer for good luck and good fortune” and it means Narita Shinsho-Ji Temple in Chiba Prefecture, Japan. Ever since founded by Priest Kanjo in 940, the temple has been the center of worship as the head temple of Chizan Branch of Shingon Sect also known as ' Fudo of Narita.' 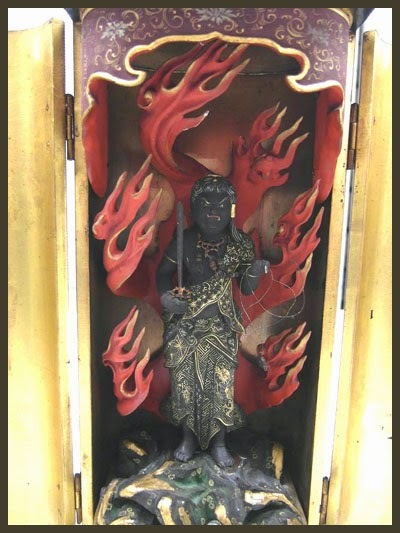 The principal worship image of this temple is the Fudo Myo-o statue carved by Kukai, the founder of the Shingon Sect. Antique Buddha statues in our collection have served as objects of contemplation, meditation and worship in temples and home shrines over several centuries in many parts of the world. 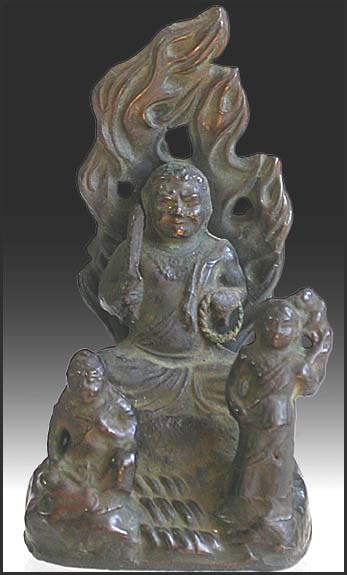 A great range of imagery proliferated as Buddhism infused the spiritual consciousness of the East. 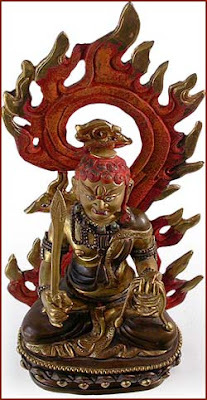 CLICK for more Fudo Statues from Buddhamuseum.com.